For the last couple of months I've written my thoughts on Birchbox, unfortunately they're all still sat in my drafts. I've been so out of love with this subscription that even writing about this box hasn't felt worth publishing. I think this is going to be the final Birchbox I receive so I wanted to write my little review and the reasons behind me cancelling my subscription. Whilst everybody who posts about Birchbox seem in love, I don't think this box has been for me. For the last 8 months, during the first week of the month this little box has been arriving at my door and every time I've been excited to see what I've received, for it to just gather dust and truthfully, barely used. 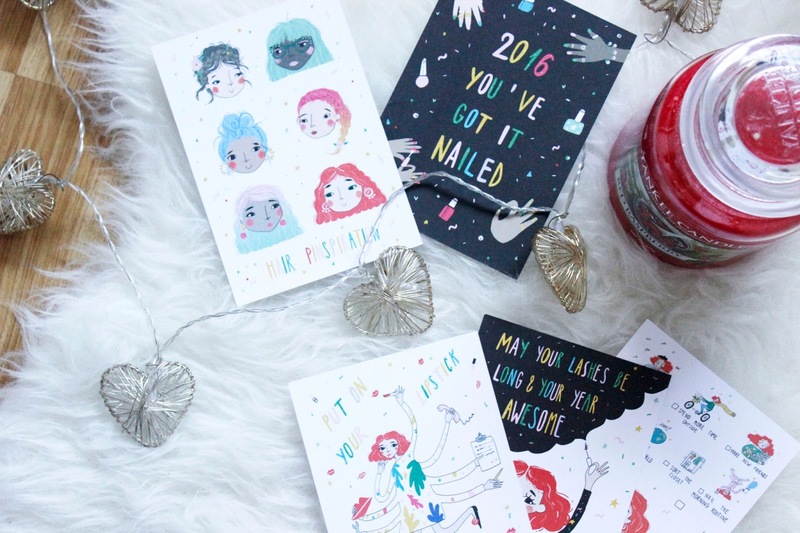 This month's was in collaboration Pinterest to inspire the Best Year Ever!? As they like to combine both beauty and lifestyle products into the box, I found this a nice connection. You also received FIVE postcard illustrated by Viktorija Semjonova, which are adorable, so full of colour and motivational, I'm very tempted to frame a few of them and pop them around my room for decoration. The Lash Supercharger | £18.50 Every time I see a Benefit sample in my box, I do feel a little excitement. Getting to test high-end products is great, but it's getting a little boring now. I've received they're real samples too many times now. I'm aware that this is a little different, instead this is a mink-brown tinted primer, which can be used as a primer before applying mascara or used alone for the look of more natural lashes. When I used this as a primer, I can't say it made much different to my lashes and was a little disappointed. The Complexion Awakener | £14.95 I've tried only a few Jelly Pong Pong products but the ones I've tried I've loved! I've only tested this little beauty out briefly, but my first impression...it's love! I've never used a lighter shade of liner for my eyes, it's really widens up your eyes and I see this becoming a staple part of my makeup routine soon enough. The Skin Nourisher | £14.50 I'm very excited by this product, as soon as I read the words body butter, I'm sold!? This is an almond body butter, with aloe, shea and raspberry extracts, creating a scent which is similar to most body butters...but the raspberry adds that hint of something a little different and I love that. I can't wait to use this; especially at the moment I'm feeling unwell this is going to help my skin feel soft and healthy whilst I feel the exact opposite. The Hair Multi-Tasker | £14 I'm actually a little disappointed with this product. I've not actually used it yet so I can't really comment about how well it works, but I want to be honest..I've been receiving similar bottles to this since day one and after a while it's a little boring to receive, I understand it's their product so they'll continue to share it but I'd just like to see a new brand or product used every once in a while. The Cleansing Water | £27 I'm slightly obsessed with cleansing waters, I find them such a quick and simple way of removing my makeup and completely removing my makeup. The hazelnut oil gives it a gorgeous scent which you don't get from other cleansing waters and the aloe vera helps to keep the skin soft when this is being used...if it wasn't for it's retail price, I'd possibly purchase this after this sample runs out! Birchbox Compact Mirror | £4 This is just adorable and fit's perfectly into any bag...I've not had a compact mirror in yearsssssss and I can finally have one at hand to check my makeup and re-apply lipsticks!? And that's everything! While I've been a little more impressed with this months box, I've now got plenty of samples to keep me going for a few months...It's time for me to say goodbye to Birchbox. 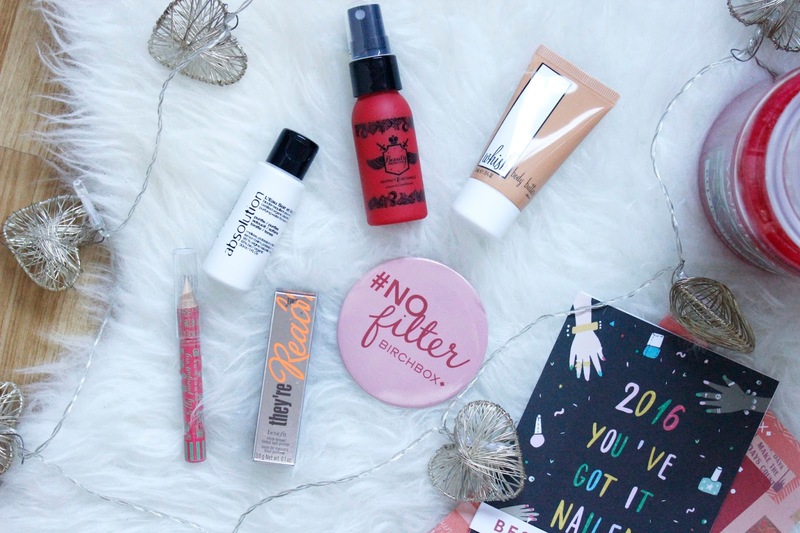 Which beauty box would you recommend? 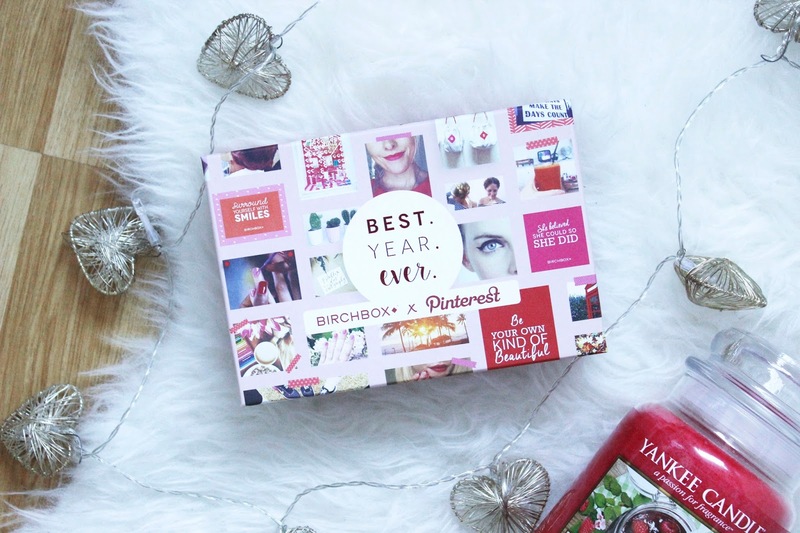 Or are you in love with Birchbox?